-- Select a Size -- Teacup 1 Teacup 2 Teacup 3 Teacup 4 X-Small - Out of Stock! Small - Out of Stock! 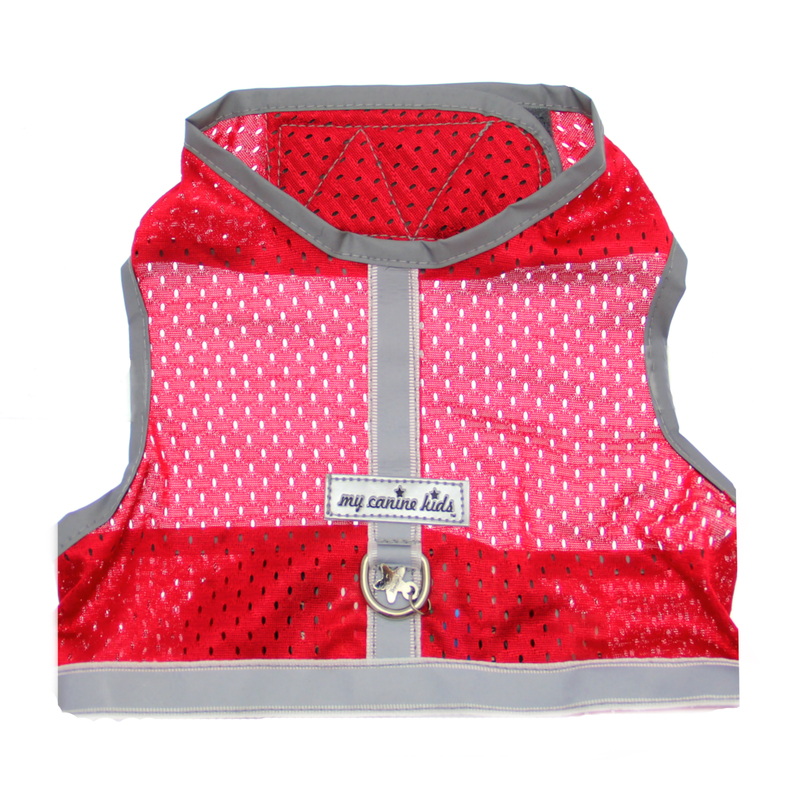 Get out for a run or a fun walk with the Athletic Mesh Dog Vest Harness! Quick, easy, cozy and secure. touch fastener closure tabs at neck and belly. Durable single D-ring for leash attachment. Features grey ribbon stripe and star charm. The Athletic Cool Mesh Dog Vest Harness by My Canine Kids will get your summer moving! 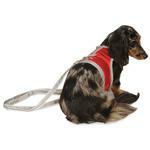 This harness is specially made for small dog breeds, providing them with comfort, and style. Owners will appreciate the added control a harness provides while on a leash. 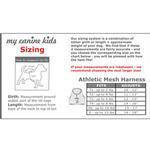 The simple pattern will have everyone wanting your dog harness for their little pup too! Athletic nylon mesh now trimmed with grey reflective grosgrain ribbon and grey binding for a stay cool summer look! Bright silver hardware, and signature star charm! 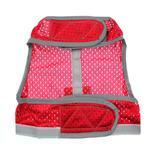 Athletic Mesh Dog Vest Harness - Red Customer Photos - Send us your photo! My Ticked Tabby Najera loves to look good when she goes for a walk. Posted On 09/13/15 by Brandi F from Broomfield , CO Yes, Brandi F recommends this product! Bought this as well as many others for my kittens. They love to go for walks and these are so cute and comfortable...easy to put on. Posted On 05/31/15 by Kristine K from Thornton, CO Yes, Kristine K recommends this product! Posted On 04/13/15 by jeanie s from Bristow, VA Yes, jeanie s recommends this product!